It’s the small changes that matter in big businesses. It’s a wakeup call for your guests in the hotel room. It’s that sip of refreshment that your clients will appreciate and your employees will love. iD Filter Coffee fits perfectly, no matter the situation. After all, there's no time where one doesn't want to grab a cup of authentic filter coffee. And we just made that super easy. All you have to do is pour the decoction, add milk and sugar to it. Get in touch with us to bring some deliciousness to your business. Got a business inquiry? Get in touch. A good cup of iD Filter Coffee can turn anyone’s day around. With the work pressure and the daily deadlines, everyone loves a delicious respite. What’s more? 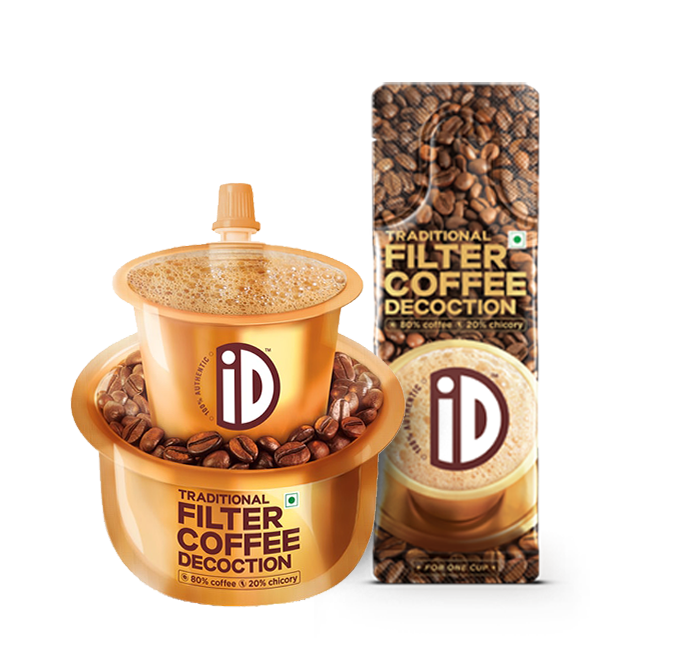 Even your customers will love a cup of traditional iD Filter Coffee.